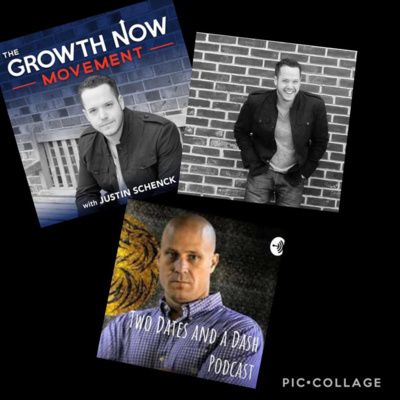 An inspirational podcast, inspired by Matt Cubbler's "I Got You" Inspirational Speaking and Leadership Consulting Brand, that is dedicated to sharing the remarkable stories of selfless leaders who have lived truly memorable lives. 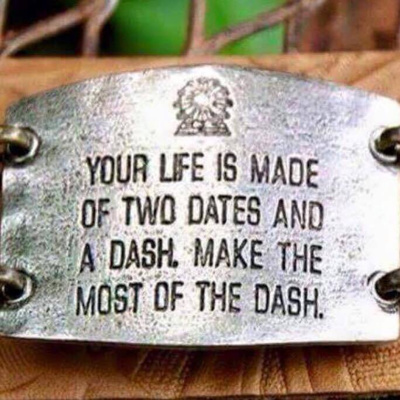 This podcast will highlight their stories, share their journey's and inspire every listener to look into the mirror and ask themselves if they are putting everything they have into living out their "dash." Be ready to be transformed, uplifted and to feel the emotions in every episode! Bethanie Mattek-Sands is a 8 time WTA Doubles/Mixed Doubles Grand Slam Champion, Gold Medalist in the 2016 Rio Olympics, and now the creator of her own fashion line of clothing, partnering with the Lucky in Love Fashion Brand. Bethanie has achieved amazing success personally and professionally as a result of her ability to be mentally and physically unstoppable. She has had to overcome two potential career ending knee injuries - coming back stronger and more determined to reach the top once again. She is married to her husband, Justin and they reside in Arizona with their Mastiff, Ruger. 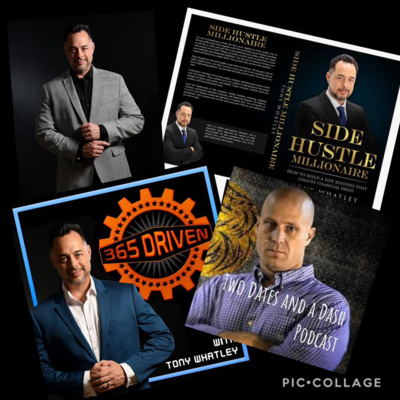 Tony Whatley is a best-selling author, business consultant, and serial entrepreneur. He enjoys taking on the challenge of learning new things, and inspiring people to become the best version of themselves. His hobbies include travel, fitness, and high-performance cars. For more information please visit www.365driven.com. 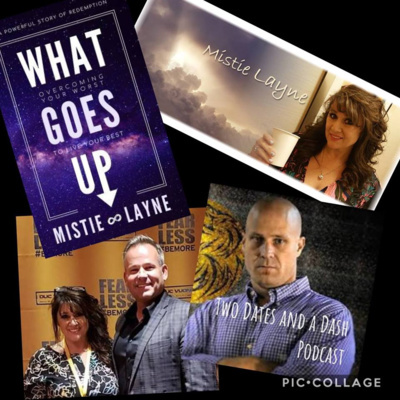 From beauty pageants to black eyes, Mistie Layne went from becoming a prominent surgeon to facing forty years in prison after her horrific cocaine addiction forced her to rock bottom, when she took the life of another. In prison, she found strength in writing and developed a four step C.O.P.E.= HOPE method which walks you through releasing TOXIC GUILT, SHAME and ANGER. She believes SELF-FORGIVENES and LOVE is the key to true joy and inner peace, NOT depending on others for validation. After her prison release, she HUMBLY rebuilt a career in nuclear medicine and speaks fervently with PASSION to finally SHOUT to the world her “RAW TRUTH” of ugly dark secrets she spent so many years hiding. Her mission statement is simple; “FIND, LOVE and BE yourself. PULL YOURSELF UP!” By sharing her story of redemption, she hopes to educate and inspire a movement to JUDGE less and MENTOR more. 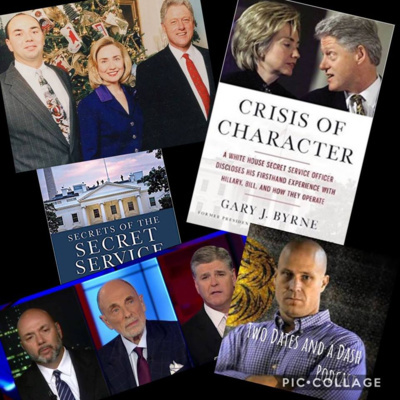 Gary J. Byrne served in federal law enforcement for thirty years, in the U.S. Air Force Security Police, the Uniformed Division of the Secret Service, and most recently as a Federal Air Marshal. While serving as a Secret Service Officer, Gary protected President Bill Clinton and the First Family in the White House. His first book, CRISIS OF CHARACTER, was a #1 New York Times bestseller. 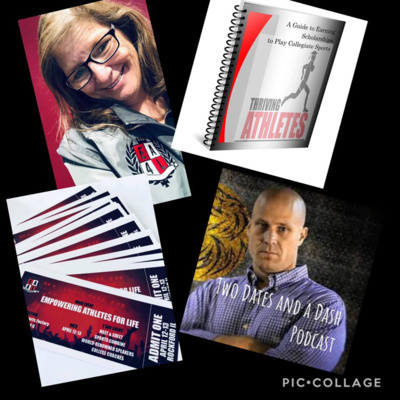 Mary is motivated to reduce student college debt through her organization Thriving Athletes (www.thrivingathletes.org) and her upcoming athlete combine in Rockford, IL on April 12-13th. The combine will be an intensive athletic combine mixed with inspirational speakers and people in the college education industry. Mary is relentless in finding creative ways to help kids across the country attend college and play collegiate sports with minimal accruing debt! 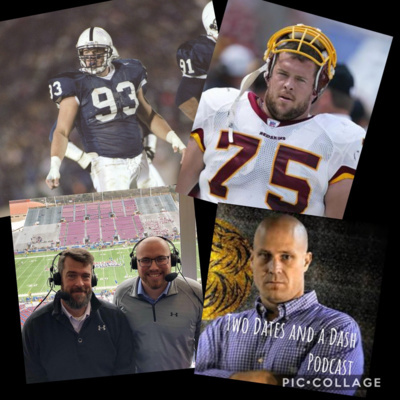 As a player Brandon was a three year starter at defensive tackle for Joe Paterno at Penn State, playing in the 1995 Rose Bowl, 1996 Outback Bowl, and capping his career as the Defensive MVP of the 1997 Fiesta Bowl. He spent the next nine years in the NFL, playing for the 49ers, the Barcelona Dragons (NFL Europe), Dallas Cowboys, and the Washington Redskins. After retiring in 2005, Brandon went into college coaching, starting at West Chester University (DII) coaching outside linebackers and defensive lines for the Golden Rams over five seasons. He spent the next three seasons coaching defensive lines in the UFL with the Omaha Nighthawks, Coastal Carolina University, and Temple before leaving coaching to spend more time with his wife and three kids. Since leaving coaching Brandon has been busy as a broadcaster, hosting the DII Sports Podcast, The Obligatory PSU Pre Game Show, and as the game analyst for the Colonial Athletic Association game of the week on CBSdigital/College Sports Live. Fox News Channel Anchor, Jillian Mele Jillian Mele is co-host of FOX News Channel’s (FNC) FOX & Friends First (weekdays 5-6 AM/ET) alongside Rob Schmitt. 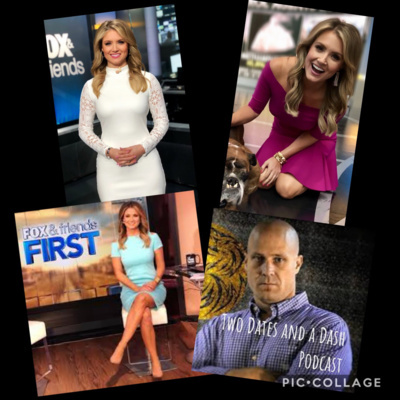 In addition, Mele serves as a member of FNC’s morning show franchise, FOX & Friends (weekdays 6-9 AM/ET) where she reports on the latest news headlines and contributes to daily segments. She joined the network in March 2017. Prior to joining FNC, Mele served as a co-host on Comcast Sports Net Philadelphia’s (CSN Philly) local morning news program, Breakfast on Broad where she earned an Emmy Award for her work. Earlier in her career, Mele spent seven years with WCAU-TV (NBC 10) in Philadelphia, PA and reported in various capacities, including as a news, sports and traffic reporter. She got her on-air start as a local news anchor for stations in Presque Isle, Maine, and Binghamton, New York. Additionally, while enrolled in college, Mele held an internship with CSN Philly. Mele received a B.A. in arts and communication from La Salle University. Dr. Dale Comstock is the Vice President for Intrepid Global Security Solution's, Inc. Critical Infrastructure Protection Division. Dale regularly works as a contract security specialist applying his skills and knowledge on myriad of security challenges around the world for various clients. 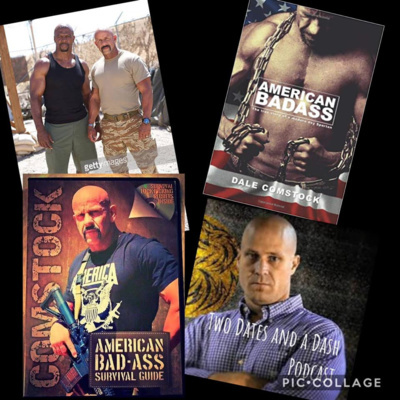 Dale retired from the U.S. Army in August of 2001, after serving 5 years in the 3rd Special Forces Group (Green Beret) as the Senior NCO on an A-Team; 10 years with the 1st Special Forces Operational Detachment - Delta (The Delta Force) as an assault Team Leader and Explosives Expert; he served 4 years with the 82nd Airborne Division as an Airborne Infantryman in a Long Range Reconnaissance Platoon; and he served 9 years as a Security Advisor in Afghanistan and Iraq in support of the Global War on Terror (GWOT). He has a Master of Arts Degree in Business and Organizational Security Management and a Post Graduate Degree in Alternative Medicines and Therapies. Since his retirement he has started several security companies specializing in nuclear, petrochemical, personal, and K-9 security. Additionally he is a teacher for Henley-Putnam University in San Jose, California where he teaches Psychology of Violence, Technical Surveillance, Area Study Analysis, and Special Weapons; he is the Military Tactical Advisor for Falchion Enterprises, Inc. Dale Comstock has studied the Martial Arts for 36 years. He has Black Belts in American Karate and Ju-Jitsu. Some of his achievements include: Professional Boxer; Tough Man Championships; Vale Tudo Championships; PKC Kick-boxing Championships. Duche (Dutch) Bradley grew up without his biological father. Anger and loneliness filled the void. As he grew older, these emotions carried him from despondent child to street thug. Machine guns and shotguns, Saran wrapped crack cocaine, and bruised knuckles set the background for his life. He consoled himself by swearing that though his father left him, he would never leave his son. Never. But as street pedaling drugs turned into a drug enterprise, his lifestyle caught up. A simple traffic stop turned into a gun to his head and a hog tie on the interstate and suddenly Duche Bradley was faced with decades in prison and a lifetime away from his son Bradley. His promise to his son would be broken. Daniel Gomez is the founder of Daniel Gomez Enterprises, a company devoted to developing and strengthening organizations and individuals. 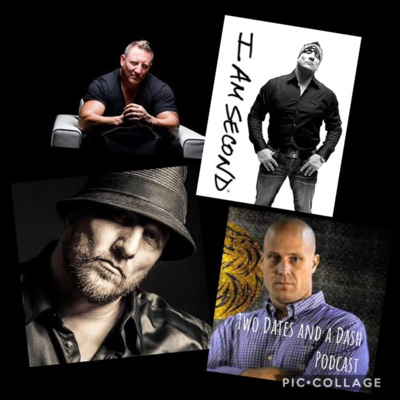 Daniel is a Dynamic Motivational Keynote Speaker with 14 years experience in the arena of Leadership Development, Team Building, Sales Mastery, and Confidence Coaching. He is the International Best Selling Author of "You Were Born to Fly", a book written to inspire and give people the high-performance habits and confidence needed to be the leaders of their own destiny. Daniel is not just a motivational keynote speaker, he gives your organization the success principles, leadership skills, and champion's mindset to develop and build a winning team. He encourages them to "Be Original", to love and believe in themselves at all times, to value their own opinion, and to step out of their comfort zones. Daniel knows what it's like to fear the unknown, having lost his mother as a child and facing death at the age of eighteen. He did not let his circumstances dictate the outcome of his life. His positive attitude and approach to life are what makes him very successful in his personal and professional life. Daniel's energy and enthusiasm capture the audience's attention from the opening moments of his presentation. He engages and interacts with them throughout his presentation, his sole desire is to unlock the untapped potential in people's lives. Daniel loves connecting with his audiences and making it personal. He takes great pride in cultivating leaders and champions. He raises the level of expectations in people's lives and helps them to change their limiting beliefs, giving them the tools necessary to succeed and live a positive life. What you can expect from Daniel is a highly energetic and engaging environment where he loves to include his audience in his presentations. You will receive a "Highly Motivated and Passionate Speaker" that speaks directly from the heart. Daniel believes in exceeding expectations, he customizes his presentations for each event. What separates Daniel from other speakers is that he challenges his audiences throughout his talk to think, feel, and believe that it's never too late to begin something amazing! His authenticity attracts admiration from others, he believes in being truthful and from the heart. His vulnerability and honesty inspire transformation in people's lives. His unique way of relating and connecting with them is what makes your event special and memorable. 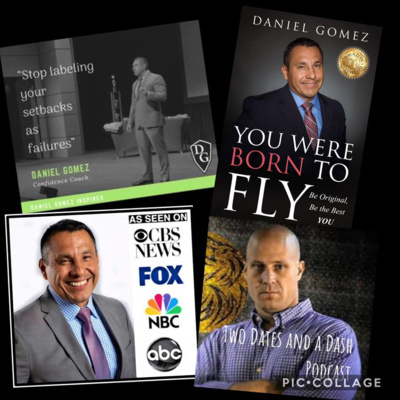 If you are an event planner looking for an authentic, motivating, and delightful speaker or presenter for your next conference or event, then Daniel Gomez is the speaker you have been looking for! Sid Brumbach's life has been as unusual as his novel - "Unintended Consequences". He grew up in Pennsylvania Dutch country where he trained for power-lifting ultimately setting Teenage American and World Records. 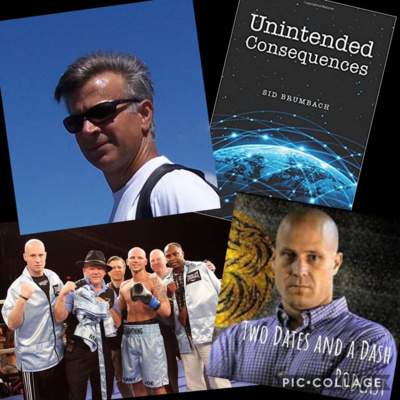 Launching from that success he became a Registered Nurse; worked as a cut man for professional boxers logging 907 fights including 55 title fights; returned to college obtaining a biology education degree, and worked in pharmaceutical sales. He lives and writes in northern Idaho. 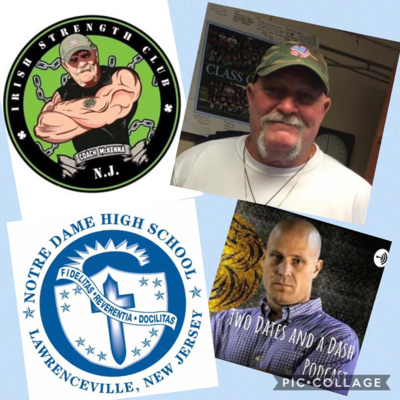 John McKenna is in his 18th season as Athletic Performance Director at Notre Dame High School, and has been a strength coach and football coach for over 32 years. At Notre Dame High School in his full time role he trains all physical education classes and teams in season and out of season. Coach McKenna was the first strength coach inducted into the New Jersey Coaches Hall of Fame and just recently was honored by the National Football Foundation for his Contribution to Amateur Athletics, and was just inducted to The Sports Faith Hall of Fame in Chicago. Coach has received honors from the New Jersey National Guard and Trenton Fire Department for his service to these organizations. Coach also is the moderator for Notre Dames Catholic Athletes for Christ(Trenton Diocese). Over the past 32 years Coach McKenna has trained professional, college, and high school athletes. He has also developed the popular (Building Your Foundation Youth Program) for the development of younger athletes. Coach has been a featured speaker throughout the country as a Strength Coach and a Faith Coach. Coach McKenna was just recently named to The Board Of Directors, Region 8 Northeast(ME, VT, NH, RI, CT, NY, PA, VA, WV, MD, DE. And NJ of the National High School Strength Coaches Assoc. Coach resides in New Jersey with his wife of 42 years Charyl , has three daughters, a son, and 9 grandchildren. Coach bases everything off this saying: Strong Mind-Strong Body-Strong Faith=Strong Life. “Irish” Micky Ward (born October 4, 1965) is a retired junior welterweight professional boxer from Lowell, Massachusetts. Micky is regarded as a working class hero, a blue-collar athlete who has overcome many difficulties in life and prevailed through determination and hard work. Ward won three New England Golden Gloves titles as an amateur before turning pro in 1985. He started off 14-0 in his professional career. Ward was known for his devastating left hook to the body and his ability to withstand punishment while waiting to land his trademark shot. A perennial underdog, he has been known to suddenly drop his opponent in the late rounds with a single shot to the body as he did against Emanuel Burton. After a 15-year pro career, the veteran Ward gained widespread fame in his May 18, 2002 fight with Arturo Gatti, broadcast live on HBO. In 2001, Ward´s battle with Emanuel Burton on July 13 had been named the Ring Magazine Fight of the Year and it served to set up the much-anticipated Ward-Gatti matchup. Ward-Gatti I saw both fighters withstand an amazing amount of punishment through 10 rounds of non-stop action. Ward, who dropped Gatti in the ninth round with a vicious left hook to the body, won the fight by majority decision.Ward-Gatti I was hailed as the “Fight of the Century” by boxing fans and writers, and Round 9 of that bout was called “The Round of the Century” by Emanuel Steward, who co-hosted the fight live on HBO. Ring Magazine named Ward-Gatti I the Fight of the Year for 2002. In their rematch, Gatti neutralized Ward´s body punching power by boxing and staying low. In the third round, Gatti knocked Ward to the canvas with a thundering overhand right which landed on Ward´s ear. Ward sprawled into the turnbuckle and stayed down for the mandatory 8 count. Nobody, especially Gatti (who after the fight called it “the hardest punch I´ve ever landed”) expected Ward to get up, never mind finish the fight. Commentators noted that if it had been any other fighter than Ward, the referee would have stopped the fight in the third round. Ward and Gatti had a third fight, on June 7, 2003. Despite dropping Gatti in round six, Ward lost by a ten round unanimous decision. Ward-Gatti 3 was named Fight of the Year for 2003 by Ring Magazine, which meant that Ward had earned that honor three times. Before his final fight with Gatti, Ward had announced his plans to retire after the fight. Micky captured both the WBU Intercontinental Light Welterweight title and the WBU Light Welterweight title. He also won the respect and admiration of many fans worldwide. The song “The Warrior´s Code” by the punk rock band Dropkick Murphys is dedicated to Micky Ward, and his photograph appears on the cover of the album. Ward´s life is chronicled in a biography by Bob Halloran entitled Irish Thunder: The Hard Life and Times of Micky Ward. 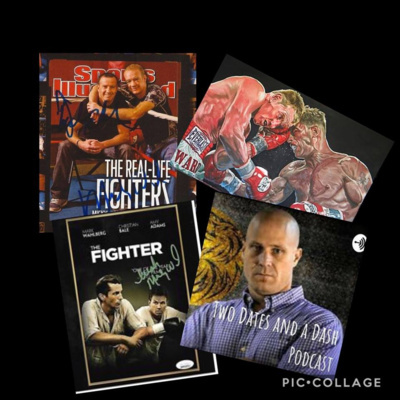 Micky Ward´s trilogy with Arturo Gatti would become the cover of the video game Fight Night Round 3, on the PlayStation 2 and XBOX versions of the game.And to top it all off The movie “The Fighter” staring Mark Wahlberg as Micky Ward and Christian Bale as his half-brother, Dickie Eklund recounts Ward´s climb to fame. 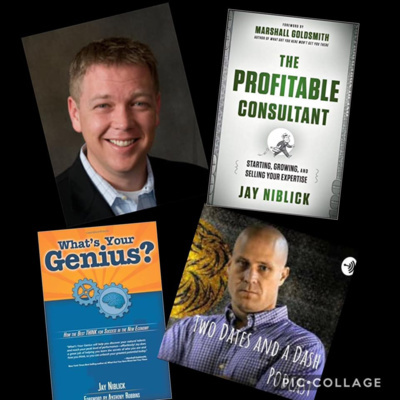 Jay Niblick is the Founder and CEO of Innermetrix Incorporated, a professional consulting and technology firm with offices on five continents specializing in helping professional business consultants and coaches build and grow a profitable consulting practice. He is the Bestselling author of the Attribute Index diagnostic profile (over 600,000 copies sold worldwide), and What’s Your Genius – How the Best Think for Success (Foreword by Anthony Robbins). His latest bestselling book is titled, The Profitable Consultant – How to Start, Market and Sell your Expertise (Foreword by Dr. Marshall Goldsmith). 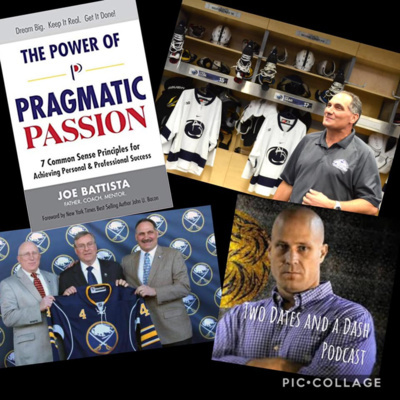 He has been a paid keynote speaker and lecturer to organizations around the world in the areas of: Consulting, recruitment/hiring, peak performance, executive coaching, leadership development and organizational development. Over 1,750 independent management consultants have paid to attend one of Jay’s international workshops or certification programs delivering best practices on how to build a successful consulting practice and increase profitability. Jay also sits on the Board of Directors at the Robert S. Hartman Institute; A scholarly project at the University of Tennessee in the United States dedicated to the study of human nature, value and decision-making. Prior to consulting, Jay worked in the surgical sales industry for Johnson & Johnson. Before that he trained and served in the Special Operations communities of the US Navy and US Marines. About Jessica: I am passionate about helping people take their lives to new levels and push the boundaries of what is possible. We are on a mission to set people free - physically and financially. For 13 years, I enjoyed a successful sales career in corporate America. Two years ago - almost by accident - I started my own business in my spare time. I partnered with a 13 year old company that provides nutritional products based on cutting edge science that address energy and performance, weight loss and healthy aging. In just 27 months, we developed a global distribution marketplace across 6 countries, a team exceeding 11,000 people and created a 7-figure income. We are helping others on our team create 6- and 7-figure incomes and redesign their lives with physical and financial transformations. Bottom line - everyone deserves to live life with a healthy body that they love, as well as experience financial freedom to do what they want, when they want, as much as they want. I believe - WITHOUT A DOUBT - that I have discovered the secret to achieve all of that and more. If you are serious about creating more freedom in your life, we deserve to connect. You deserve to have freedom, great health and unlimited wealth. Dubbed “The Boy Wonder,” the 22-year old promoted his first bout on Sept. 30, 1969, featuring Bennie Briscoe in the main event at the Blue Horizon. 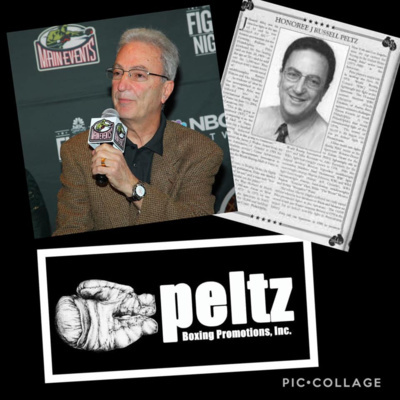 Since then, Peltz has become one of boxing’s most consistent promoters and is synonymous with Philadelphia boxing and, in particular, the Blue Horizon, where he promoted bouts for 32 years. Peltz also served as Director of Boxing at the Philadelphia Spectrum from 1973 to 1980. The crowd of 16,019 for the WBC junior lightweight title fight at The Spectrum in l976 set the record for the largest crowd ever to watch boxing indoors in Pennsylvania history, while the 14,930 who saw Briscoe vs. Hagler in 1978 is the largest crowd indoors for a non-world championship contest. Peltz has promoted cards at many other Philadelphia venues, including the old 7,000-seat Arena at 46th & Market Street, the Arts Palace at Broad & Pine Streets, as well as the 2300 Arena in South Philadelphia, his current home. In addition to Philadelphia, Peltz has promoted boxing matches at nearly every casino in Atlantic City. Among the fighters who boxed on Peltz-promoted cards include Bobby “Boogaloo” Watts, Eugene “Cyclone” Hart, Willie “The Worm” Monroe, Stanley “Kitten” Hayward, Marvin Johnson, Alfredo Escalera, Mike Rossman, Billy "Dynamite" Douglas, Bernard Hopkins, Antonio Tarver as well as Hall-of-Famers Jeff Chandler, Bobby Chacon, Orlando Canizales, Matthew Saad Muhammad, Dwight Muhammad Qawi, George Benton, Emile Griffith, Michael Spinks, Thomas Hearns, Aaron Pryor, Pernell Whitaker, Roberto Duran and Marvelous Marvin Hagler. Peltz was honored with the James J. Walker Award for “Long and Meritorious Service to Boxing” by the Boxing Writers Association of America in 1999. Noted for his ingenuity for making great matches, Peltz follows in the great tradition of Philadelphia boxing promoter Herman Taylor. In addition to promoting, Peltz is an avid boxing historian and archivist. Danny Bader is a best-selling author and inspirational speaker whose life was transformed by a near death experience more than 20 years ago. He started his own company in 2007 that focuses on helping others truly understand themselves by creating a powerful vision for their futures. He wrote Back From Heaven’s Front Porch, Five Principles To Creating a Happy and Fulfilling Life, which would become a best-selling book and receive rave reviews from Success magazine and rank #1 on Amazon. As one of the nation’s most sought-after speakers, he routinely gives workshops and keynotes to the biggest organizations in the nation including Marriott, Comcast, Merck and more. To date, he has spent more than 10,000 hours inspiring others to live their best lives. 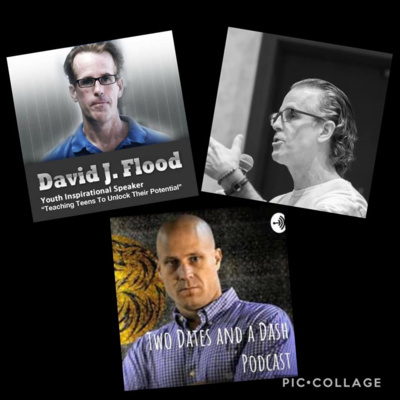 David’s narrative as a youth speaker comes first hand; he grew up impacted by addiction in his family; he married and became a father of two children, his oldest is a special needs son; he is active in his church; he is a hospice volunteer who visits with terminally ill patients; and is on the board of K.I.D.S. Plus, Inc. a non-profit organization which helps special needs children through sports and other activities. David attends meetings and participates in activities with The Anti-Bias Consortium Nassau County Schools. He is a member of The Northport-East Northport Drug and Alcohol Task Force. David’s life teaches him every day about dignity, understanding, patience, forgiveness, and most of all unconditional love. As a youth motivational speaker David has spoken in 31 states and Canada to over 350,000 students, inspiring them to look at people and things in a different way. His Facebook videos have received over 70 million views. He speaks with passion and conviction and through his humility, leaves his audience with so much to think about in their formative years as they move into their future. Brock Mealer grew up in Wauseon, Ohio, and graduated high school in 2003. He went on to receive his undergraduate at Ohio State University. Brock spent much of his time working at a family construction company, but also enjoyed playing basketball, flying airplanes, and being with family. A tragic car accident on Christmas Eve 2007, in which a 90 year old man ran a stop sign, left Brock paralyzed from the waist down and took the lives of his father and brother's girlfriend, Hollis. He was told by the doctors that he only had a 1% chance of ever walking again. He has persevered through this situation by clinging to faith, and relying on God. Brock started rehabbing with the physical therapists at the hospital for two years after the accident. After that period, Brock was only able to move his hip and quad muscles, which allowed him to walk with the aide of full leg braces and a walker. He was still far from where he wanted to be, and God had a new opportunity awaiting him. Brock's brother, Elliott, played for the University of Michigan football team, allowing Brock to connect with their coaching staff who had offered to work out with him since the accident. 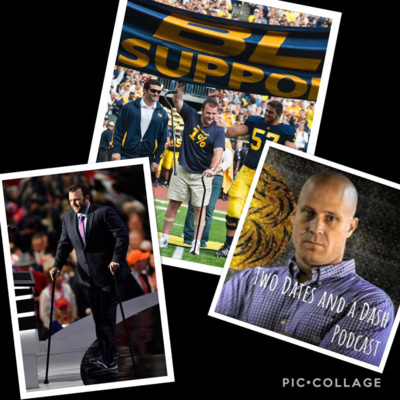 After insurance had run out for rehab, he started rigorous workouts with Mike Barwis and the rest of the football strength and conditioning staff at the University of Michigan. Since then he has learned to walk with two canes, and in fall of 2010, Brock completed his goal of leading the Michigan Wolverines onto the field for their home opener accompanied with his mom, Elliott and oldest brother Blake. In December of 2012, he was able to stand at his wedding and walk down the aisle with his bride, Haley, without the assistance of canes. Currently, Brock and his wife are living in Wauseon Ohio, and has plans to help others in their own journey through life's challenges. He continues to work out so he continues to improve, as well as, share his faith, and motivate others to strive for their goals. He has since been able to walk without assistance of any kind, walking up to a half mile at a time. Join the 1% today, and face adversity head on. Brock's message is about persevering against overwhelming odds; no matter what the challenge is. 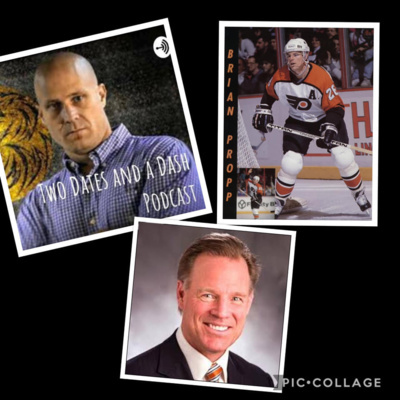 Brian is a former National Hockey League All-Star, legendary Philadelphia Flyer, former sports broadcaster, entrepreneur, business relationship and development guru and a philanthropist in his community. Brian is a loving husband and father of two and presently on the senior leadership team at Wolf Commercial Real Estate. Brian has leveraged his 15 year professional sports experiences and his 30 years in the business world. From the dressing room to the corporate boardroom, Brian continues to optimize opportunities and drives peak performance and results by leading by example and inspiring teams to be their best. Today Brian is the Director, Strategic Relationships at Wolf Commercial real Estate (WCRE). WCRE is a full-service commercial real estate brokerage and advisory firm specializing in office, retail, medical, industrial and investment properties in Southern New Jersey and the Philadelphia metropolitan area. WCRE provides a complete range of real estate services to commercial property owners, companies, and investors seeking the highest quality of service, proven expertise, and a total commitment to client-focused relationships. Brian gives back to the community as a Volunteer through his tireless commitment to several charities, including NHS Human Services, Bringing Hope Home, The Center for Autism, Flyers Alumni Foundation and The United Way of Camden County. A 6-handicap golfer, you can find Brian on the links participating in charitable client golf events throughout the summers, helping kids and raising awareness for many social and charitable causes. After a long career as a sports and news anchor in major east coast media markets, Broadcast Pioneers member Lou Tilley partnered with international businessman Martin E. Judge, Jr., founder and President of The Judge Group and The CAFL, to form Lou Tilley Media. LTM is an international creative branding, marketing, public relations and production agency. From concept to delivery, Lou and his team craft engaging cross-platform content created to serve each client’s vision and goals. Lou Tilley has long been a familiar face to TV viewers in Philadelphia, Boston, New York, Baltimore, Charlotte and across the nation. His 30+ year on-air career has garnered 11 Emmy awards for excellence in reporting, programming and production. In 2010, while preparing to emcee the annual Maxwell Football Awards Gala, Lou found himself discussing his future with longtime friend and accomplished businessman, Marty Judge. Lou Tilley Media was born that night as a collaboration between the two. The MFC,. now produced for TV by LTM on national networks, remains the passionate center of the agency. In fact, football – sports – and great storytelling, are at the core of LTM’s impressive list of clients that include: The CAFL China, The Philadelphia Soul, Defend Your Head Sports Safety, The Cal Ripken Baseball Group, Ron Jaworski Enterprises, and The Judge Group. “I’ve always been an effective story teller. Now, I dig into my client’s stories, their messaging and goals in the same way I would dig into a major news story: to find the most effective avenue of message delivery. I employ “Three E’s” in every project: education, entertainment and enterprise. They are not mutually exclusive,” says Lou from his office along the banks of the Schuylkill River in Conshohocken, PA, not far from the central Philadelphia row home where he was raised. Recently, LTM planted its flag in China, establishing offices in Shanghai, leading the media and marketing arm of Marty Judge’s dream venture, the China Arena Football League. “This is a blank canvas for LTM. The Chinese market is hungry for western style sports, for football, and my job is – you guessed it – to educate, entertain and make it work for our shared enterprise.” LTM manages all broadcast rights for the new pro league set to launch in 2016. “There are no right or wrong ways to deliver the games there. We can re-invent the way we present this and other sports to new fans. Because of this, we are better enabled to develop new methods of delivery for our sponsors in the process.” LTM will produce all regular and postseason games in China in both Mandarin and English, as well as distribute them nationally in China on the iQIYI network, and in the US on the ONE World Sports Network. Lou and his team will also manage all public relations and news media, social media , websites in both languages, as well as all game day in-arena operations. LTM also works directly with the CAFL exclusive sponsors to develop and deliver their messages across all media platforms. LTM is developing streaming delivery systems aimed at China’s massive mobile device audience, in-arena visual entertainment packages, and special fan apps reflecting sponsor driven demographics. “Already, this fresh start, this blank canvas, has lead us in the direction of new methods of story telling, which has helped us and our clients state-side.” LTM continues its growth internationally, utilizing the ever-changing tools of technology, but always with Lou Tilley, the award-winning broadcaster behind the creation and delivery. Some of Hollywood’s most inspirational movies were born from the world of sports. One in particular inspired not only sports fans but anyone with a pulse. In 2006 Walt Disney Pictures continued their triumphant tradition of motivating sports stories with the release of INVINCIBLE. 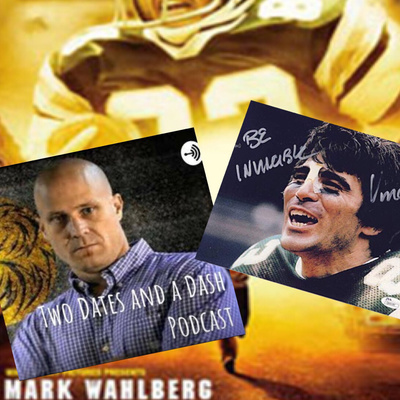 It’s a stirring football drama starring Mark Wahlberg as Vince Papale, an ordinary guy who, against all odds, takes his shot at every fan’s fantasy of going from the grandstands to the gridiron. It has been described that Papale’s odds of achieving his wildest lifelong dream of playing for the Eagles as “one in a gazillion!” It was 1976 when this 30 year old, a teacher and coach at his HS Alma mater, part-time bartender and die hard Eagles fan decided to act on a whim and a dare and entered the unprecedented public tryouts for his beloved Eagles. Inspired by this quote from his high school coach mentor, “Happy are those who dream dreams and are willing to pay the price to make those dreams come true”, he figured he had nothing to lose. Papale, a ten year season ticket holder and former track star who did not play a down of college football, not only paid the price and made the cut . . . he made history! It was a time when Philadelphia fans were buried in 11 years of defeat, when Americans were battling the lingering effects of Watergate, the Vietnam War and a sweeping energy crisis. Ordinary people appeared badly in need of a champion from their ranks and Vince answered the call. Now, in today’s uncertain economic times he continues to respond to the need for a motivating hero who knows what it’s like to battle and overcome adversity. Instantly electrifying the fans and eventually winning over skeptical teammates with his gritty play, Papale helped the Eagles rediscover their winning ways. From being voted Special Teams Captain by his teammates to earning Eagles “man of the Year’ in 1978 for his numerous charitable activities Papale was an NFL sensation until a shoulder injury ended his playing career in 1979. Having now added “cancer survivor” to his bio, Papale continues to hold the record for being the oldest rookie in the National Football League (kickers excluded). He was recently honored by the Eagles and their fans and was named “Most Outstanding Special Teams Player” during a celebration of the Philadelphia Eagles 75th anniversary. “Not often can a person see a film made about their own life’s journey,” Papale said of Invincible. “What’s even rarer is having that movie described as inspirational, motivational, and giving hope. There’s a feeling of intense pride and humility that, at times, is overwhelming.” Vince is married to former US World Team Gymnast, Janet Cantwell, and they reside in Cherry Hill, NJ, with their two children Gabriella and Vincent. Today, he electrifies audiences and is regarded as one of the top motivational speakers on the country. The ultimate underdog continues to thrill audiences with his energy and humor. Sergeant Major Reginald Wayne Butler, U.S. Army, a native of Oklahoma, graduated from McAlester High School in 1992. He received a B.S. in business from Mount Saint Mary College in Newburg, New York in 2007; an M.B.A. in information technology management from Trident University International in Cypress, California, in 2010; and is currently pursuing a D.B.A. in leadership from Walden University, Minneapolis, Minnesota. He was raised in poverty by a single mother of five children, who had a loving heart and faced many obstacles but never complained. She blessed Butler with a warm heart, good manners, and inspired him to follow his passion and intuition. As a child, Butler had behavioral problems, a speech impediment and was fitted with leg braces. Numerous Pediatric Doctors informed his mother that he would never be able to run or overcome the fear and tension in stuttering. Kids called him names such as Frankenstein and Stutterbox until the age of 9 when he decided to overcome his challenges. Butler removed the leg braces, tossed them in a dumpster, and took off running, very much similar to Forrest Gump. By the 4th grade, Butler was the fastest kid in elementary school and later went on to win Regionals in track and field. Butler attended speech therapy throughout middle school, and he now enjoys inspiring people to overcome their obstacles and fears. In 1991, toward the end of his junior year of high school, Butler joined the Oklahoma Army National Guard as an Infantrymen. He was the only African American in a 240-man company and had to overcome adversities related to racial discrimination but maintained a positive state of mind. Butler continued to break down obstacles within the organization and sought out the presence of younger soldiers who trusted him, believed in equal opportunity, and practiced dignity and respect. Butler found the resiliency to overcome the boundaries set before him and knew after graduating from High School the military life was going to be his destiny. During his 25-year military career, Butler achieved the highest enlisted rank of Sergeant Major. He completed the rigorous U.S. Army Ranger School in 1998, which is the Army’s most rigorous course related to premier small unit tactics and leadership. In 2001, Butler accomplished the Bradley Master Gunner course, to become a trained expert on the weapon systems housed within military fighting vehicles. He values the attribute of leading from the front and ultimately gained the respect of his subordinates. Butler deployed to the Middle East, the Pacific, Europe and Continental U.S. stations. 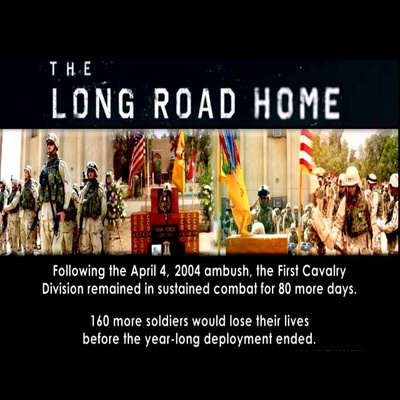 During Operation Iraqi Freedom, Butler was a platoon sergeant of the Army’s First Cavalry Division from Fort Hood, Texas, when a platoon-size element was ambushed in Sadr City, Baghdad, on April 4, 2004, also known as “Black Sunday.” Eight soldiers were killed and more than 70 injured during the attack. Butler’s Humvee gunner paid the ultimate sacrifice, and 17 out of 37 soldiers in his platoon were severely wounded. Butler had the hardest hit platoon with 20 soldiers remaining in the fight. His unit remained in sustained combat for 80 consecutive days. Butler is portrayed in the National Geographic Channel’s “The Long Road Home,” an eight-part miniseries based on journalist Martha Raddatz’s 2007 book of the same title. He was mentioned on several occasions including one during which the Secretary of Defense recognized Butler in a lecture to more than 5,000 cadets and faculty members at the U.S. Military Academy in 2008 as a hero with real-world experience and wisdom in and out of the classroom. 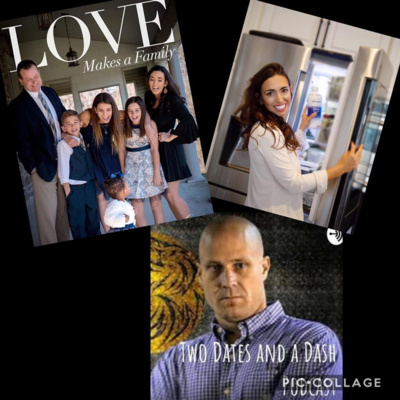 He has a passion for helping military members and people around the world to find their inner abilities to overcome daily challenges and to live a healthy, memorable and appealing lifestyle. Butler seeks to inspire, motivate and challenge audiences to lead an authentic and inspired life. 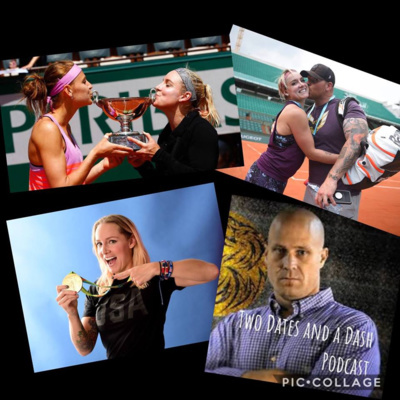 In this episode, the flagship one for my very first podcast - Two Dates and a Dash Podcast, I give a quick summary of what my vision is for the show and how I intend to format it for the listeners.